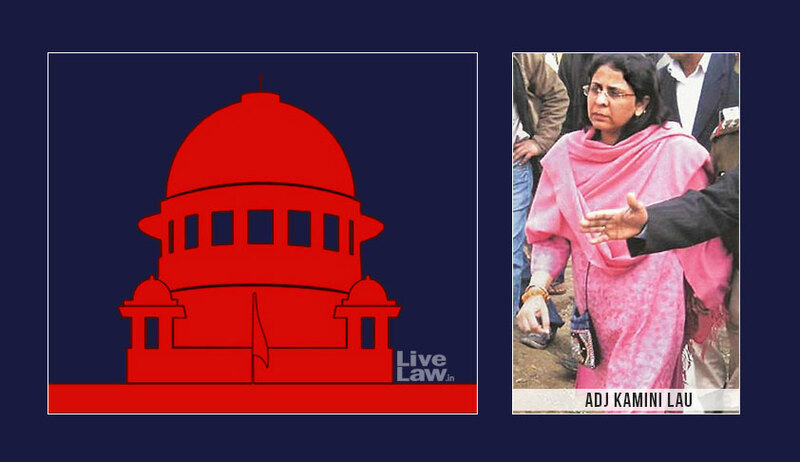 The Supreme Court bench headed by Chief Justice Dipak Misra on Friday, directed the Delhi High Court to drop all proceedings against Additional District Judge Kamini Lau after she had tendered unconditional apology to High Court as directed by the Supreme Court. The Bench directed that that no action should be taken against the petitioner in pursuance of the directions issued in paragraphs 29 and 30 of the impugned order passed by the High Court, and that apart, as the matter stands closed, no adverse entry shall be made that pertains to the proceedings before the High Court . It may be noted that on January 15, the Supreme Court had directed the petitioner to tender an unconditional apology to the High Court. The High Court had, on February 9, in view of the apology, discharged the judicial officer from the criminal contempt proceedings directed to be issued on December 22, 2017. The petitioner had sought the expunction of the observations by the Single Judge of the Delhi High Court to the effect that the finding of the ADJ regarding the non-applicability of section 58(f) of the Transfer of Property Act of 1882 to Delhi was returned in a “casual” manner; that the judicial officer had acted in a harsh manner by closing the evidence of the plaintiff on the very first day of the hearing for recording the evidence on which the advocates were also on strike; that the judicial officer had acted illegally in dismissing the suits for specific performance of agreements of sale on the ground that the agreements of sale were collusive and also that the suits were improperly valued having incorrectly linked the valuation for the purpose of pecuniary jurisdiction to the circle rates; and finally, the order of the Single Judge requiring the judgments of the ADJ impugned before himself to be placed before the Annual Confidential Reports (ACR) Committee. By virtue of these observations, the Single Judge had also required the judgements of the ADJ impugned before himself be placed before the Committee of Inspecting Judges of the ADJ. On account of the allegations by the ADJ in her applications that the Single Judge has violated the “norms of judicial propriety”, the Division Bench of the High Court had directed initiation of proceedings for criminal contempt against the ADJ, in addition to an administrative inquiry. On Friday, the Supreme Court bench further ruled, “...as the matter stands closed, no adverse entry shall be made that pertains to the proceedings before the High Court in (the relevant Regular First Appeals)...”, expunging the adverse remarks of the High Court. Senior Counsel Kapil Sibal appeared on behalf of Dr. Lau, who was present in person.